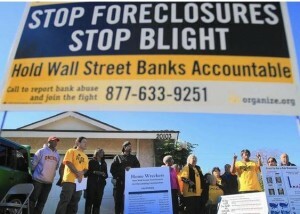 Jacob Orona, Aide Orona, John Contreras, Prakashumar (“Kash”) Bhakta, Marcus Robinson, and David Boyd were indicted by a grand jury on 135 felony charges for operating a mortgage fraud scheme throughout Southern California and the Inland Empire, preying on homeowners facing foreclosure. Charges include conspiracy, grand theft, filing false or forged documents, and identity theft. The scam artists promised homeowners who were underwater on their mortgages that they could provide legal remedies to avoid foreclosure, convincing homeowners to stop making mortgage payments and instead pay them $3,500 to start with an “administrative process,” plus $1,000 every month and separate amounts to allegedly file legal documents. The defendants filed bogus petitions and court pleadings and recorded false deeds in county recorders’ offices, causing over $4 million in loses while failing to halt any foreclosures. The fraud stretched through San Diego, Riverside, San Bernardino, and Los Angeles counties of California. The indictment was delivered following a two-week special statewide grand jury convened in San Diego County. If convicted, Jacob and Aide Orona face over 90 years in prison; Contreras and Prakashkumar face over 70 years in prison; Robinson faces over 28 years in prison, and Boyd faces over 18 years in prison. The indictment was announced by Attorney General Kamala D. Harris. The arrests and arraignments are the culmination of a joint investigation by the Federal Housing Finance Agency Office of the Inspector General (FHFAOIG), the Attorney General’s Financial Fraud and Special Prosecutions Section (FFSPS), the California Department of Justice Bureau of Investigation, and the Stanislaus County District Attorney’s Office, Real Estate Fraud Unit. Mister Mozilo, a mortgage industry maverick who co-founded Countrywide in 1969, and nearly 30 years later co-founded the dramatically collapsed IndyMac Bank (now OneWest Bank), is widely regarded as one of the more Machiavellian sub-mortgage-men who helped march the U.S. (and global) economy straight off the cliff in the mid-Noughts. 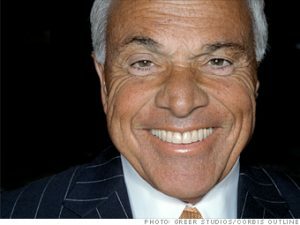 While Mister Mozilo and his mortgage-making army pushed and pedaled sub-prime home loans, he talked up the then-flourishing company’s stock price, earned hundreds of millions in compensation, and cashed out more than $400,000,000 worth of Countrywide stock, a large portion of it during the last couple of years of his tattered tenure as the king of Countrywide. Alas, the sub-primed fueled real estate bubble burst sometime around 2007 and Mister Mozilo left Countrywide in 2008 after the crippled company was sold for $4.1 billion to Bank of America. In June 2009 the Securities and Exchange Commission (SEC) charged Mister Mozilo with insider trading and securities fraud and in September 2010 Mister Mozilo settled with the SEC and agreed to pay $67,500,000 in fines, $45,000,000 of which was paid by Bank of America. Despite the sizable payout, settlement terms allow Mister Mozilo to circumvent acknowledgement of any misconduct. We can’t vouch for or confirm it but online idle chatter says he has a net worth well in excess of half a billion dollars. If I’m ever dragged into court for a financial fraud, I want to throw myself on the mercy of Judge Richard C. Wesley. Wesley is the U.S. appeals court judge in New York who, with his colleagues Reena Raggi and Christopher F. Droney, found a loophole in federal fraud law big enough for the nation’s second-largest bank to fit through without even scratching a fender. Anyone concerned about white-collar crime should find the appellate court’s logic appalling. One who does is Dennis Kelleher, a former corporate lawyer who is now CEO of the financial watchdog group Better Markets. Those who were wrongly foreclosed won’t get their house back, but the courts might make the banks throw around some more free money. During the bust that followed last decade’s housing boom, hundreds of thousands of Californians lost their homes to foreclosure. It was a process later found to be rife with problems, such as overwhelmed bank employees who sometimes didn’t even read the foreclosure documents in front of them. But challenging foreclosures on the basis of paperwork problems proved to be mostly futile, given California courts had ruled that borrowers who weren’t paying their mortgages didn’t suffer financial harm. Now, a recent decision by the California Supreme Court will allow some of those former homeowners to pursue lawsuits and possibly win damages for wrongful foreclosure even if they were in default. “They opened the courthouse doors,” said Katherine Porter, a law professor at UC Irvine and a former monitor for a national settlement over foreclosure abuses. A statute of limitations of four years might mean that the decision won’t help most of the nearly 1 million California homeowners who were foreclosed upon from 2007 to 2012, according to real estate data provider CoreLogic. Still, Porter estimated there may be tens of thousands of Californians who could conceivably argue for damages given inconsistencies in documents that transferred their loans. George Lefcoe, a professor at the USC Gould School of Law, said it will be very difficult for borrowers to prove that the ownership of their loans was so muddled that the foreclosure process was fatally flawed. And even if borrowers do win the argument, it’s unclear what damages they may receive, if any. 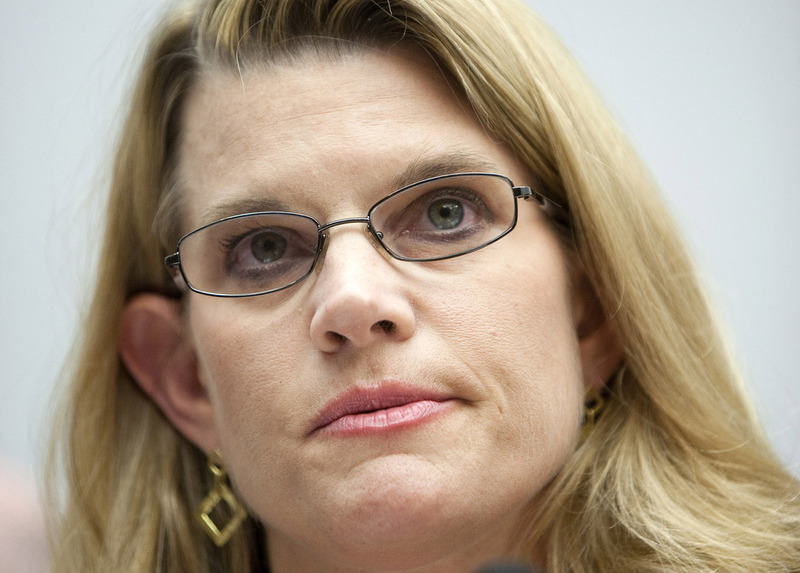 Rebecca Mairone scarcely deserves a mention in the annals of finance, except for this: She’s the only executive of a major U.S. mortgage lender found liable for her part in the 2008 financial crisis. Mairone was chief operating officer for a division of Countrywide Financial Corp., the California giant that came to symbolize the excesses of the subprime era. While top executives there and elsewhere walked away, Mairone, now 48, was targeted in a civil case by federal prosecutors. In October 2013, a Manhattan jury found her liable for misrepresenting the quality of mortgages her company sold to Fannie Mae and Freddie Mac. U.S. District Judge Jed Rakoff called her testimony “implausible” and slapped her with a $1 million fine. Bloggers said she helped destroy the U.S. economy and should be jailed or worse. Two years later, Mairone is heading back to court in an attempt to overturn that ruling and restore her reputation. As she has all along, she maintains she did nothing wrong. Years after the housing bust, her case reminds Americans yet again that not a single senior executive has been held accountable for a mortgage meltdown that cost millions of people their homes, livelihoods and savings. 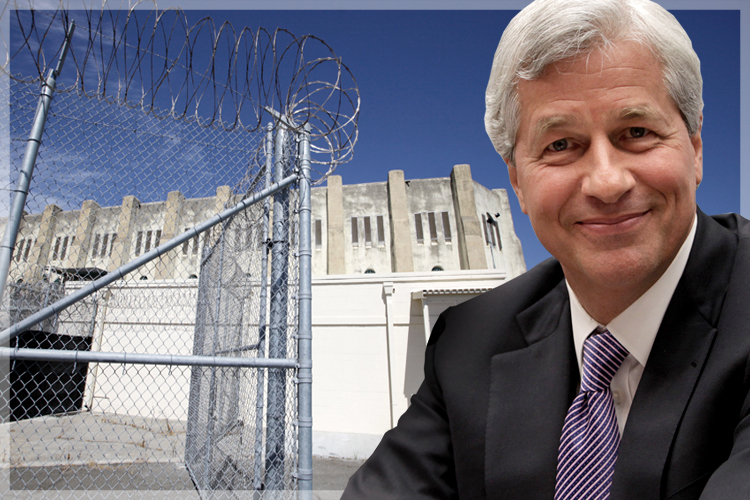 Every American should read this article that exposes the cozy relationship between big banks and government – thanks daytrip for sending! Here’s a fascinating story about the prosecution of people who defaulted on liar loans they obtained in 2006. The U.S. Attorney accused of them of mortgage fraud, and the defense attorneys – some appointed by the state – made the case that banking executives intended to make fraudulent loans. SAN DIEGO – A Ramona real estate agent who admitted taking part in an investment and mortgage fraud scheme that generated tens of millions of dollars in phony loans and illegal kickbacks was sentenced Friday to serve 15 months in federal custody. During a hearing in downtown San Diego, U.S. District Judge John Houston also ordered Teresa Rose, 58, to pay more than half a million dollars in restitution to victims of the offenses. Mozilo defended Countrywide in a deposition made last year in connection with a law suit by MBIA, Inc against Bank of America (BoA) which bought Countrywide in 2008. The deposition was filed in the New York Supreme Court earlier this week. The MBIA lawsuit is one of many brought against Bank of America since it acquired Countrywide. It is estimated that the bank has so far spent more than $40 billion trying to clean up defective mortgages and improper foreclosures caused by the mortgage company’s lax lending standards. But according to an article in Bloomberg, Mozilo said that he had no regrets about how he had run his firm, and denied that Countrywide had caused the housing crisis. “This is all about an unprecedented, cataclysmic situation, unprecedented in the history of this country. Values in this country dropped by 50 percent,” he said. MBIA’s suit in the New York State Supreme Court is seeking judgments against BoA for home loans written by Countrywide between 2004 and 2007 which were later packaged into securities. MBIA guaranteed payments to investors who purchased the securities which the bond insurer maintains were riskier than promised. The suit claims that more than 56 percent of some 200,000 loans were materially defective; an amount plaintiff’s attorneys equate to $12.7 billion. Bloomberg quotes Philippe Selendy, an attorney with Quinn Emanuel Urquhart & Sullivan which represents MBIA, as saying that the risk should never have been passed to the insurer; “The loans should have never been in there. The probability of default is exceptionally high.” He said the loan files were missing key documents and cited examples of loans where borrowers had substantially misrepresented their income. Another spokesperson for MBIA told Bloomberg that the company has already paid more than $3 billion in claims to investors and that its claims against BoA total more than $4.5 billion. The firm is seeking $3 billion in damages and repurchase by BoA of more than $12 billion in loans. The bank’s Countrywide division maintains that MBIA insured the securitizations even though they knew the lender’s loans were becoming riskier and did not do proper due diligence before doing so. “Rather than accepting responsibility for the insurance policies it wrote, MBIA seeks to walk away from its contracts,” a spokesperson for Countrywide said. His record $67.5 million payment settled an SEC claim that he had known about the deteriorating quality of loans made by Countrywide but continued to mislead investors even while his internal communications described some products as toxic. He was accused also of insider trading, accelerating his stock sales to make a reported $140 million. He admitted no wrongdoing in resolving the accusations. The House Oversight and Government Reform Committee issued a report today on Countrywide Mortgage and its so-called VIP loan program which the committee said was “a tool used by Countrywide to build goodwill with lawmakers and other individuals positioned to benefit the company. In the years that led up to the 2007 housing market decline, Countrywide VIPs were positioned to affect dozens of pieces of legislation that would have reformed [Freddie Mac and Fannie Mae].” This is the second report the committee has issued on the VIP program. Bank of America, which acquired the bankrupt Countrywide Mortgage in 2009, produced more than 120,000 pages of documents for the committee to enable it to enlarge on an earlier investigation conducted by Darrell Issa (R-Vista, CA) who was at the time the ranking member of the committee. The VIP program, referred to internally as Branch 850, was established in 1991 to process loans for senior Countrywide officials and their friends. According to bank operating procedure information it had 13 full-time employees and the benefits available to its borrowers included program/underwriting and pricing exceptions. Countrywide used the VIP unit to widely dispense discounted loans during the period of January 1996 and June 2008 when it processed a total of 17,979 loans. These loans were not only aimed at gaining influence for the company, the report states, but to help Fannie Mae at a time it was under attack by legislators who were seeking to reform its mission and operation. The names of prominent persons who received discounted loans have all been published earlier. They included six current and former members of Congress, former Senate Banking Committee Chairman Christopher Dodd (D-CT); Senate Budget Committee Chairman Kent Conrad (D-ND); Rep. Howard “Buck” McKeon (R-CA); Rep. Elton Gallegly (R-CA); Former Rep. Tom Campbell (R-CA) and Rep. Edolphus Towns (D-NY) former chairman of the Oversight Committee. Towns began the investigation into Countrywide but the report says that when he subpoenaed Bank of America for Countrywide documents the bank left out those related to Towns’ loan. Other government recipients of Countrywide discounts were Former Housing and Urban Development Secretaries Alphonso Jackson and Henry Cisneros and former Health and Human Services Secretary Donna Shalala. Both Cisneros and Shalala had left government service before the loans were made. In a lawsuit filed in New York, the Securities and Exchange Commission brought civil fraud charges against six former executives at the two firms, including former Fannie CEO Daniel Mudd and former Freddie CEO Richard Syron. The executives were accused of understating the level of high-risk subprime mortgages that Fannie and Freddie held just before the housing bubble burst. “Fannie Mae and Freddie Mac executives told the world that their subprime exposure was substantially smaller than it really was,” said Robert Khuzami, SEC’s enforcement director. Many legal experts say they don’t expect the six executives to face criminal charges. “If the U.S. attorney’s office was going to be bringing charges, they would have brought it simultaneously with the civil case,” said Christopher Morvillo, a former federal prosecutor now in private practice in Manhattan. Robert Mintz, a white-collar defense lawyer, says he doubts any top Wall Street executives will face criminal charges for actions that hastened the financial crisis, given how much time has passed. The SEC has brought other cases related to the financial crisis since it began a broad investigation into the actions of Wall Street banks and other financial firms about three years ago. Most cases, however, didn’t involve charges against prominent top executives. An exception was Angelo Mozilo, the co-founder and CEO of failed mortgage lender Countrywide Financial Corp. He agreed to a $67.5 million settlement with the SEC in October 2010 to avoid trial on civil fraud and insider trading charges that he profited from doling out risky mortgages while misleading investors about the risks.